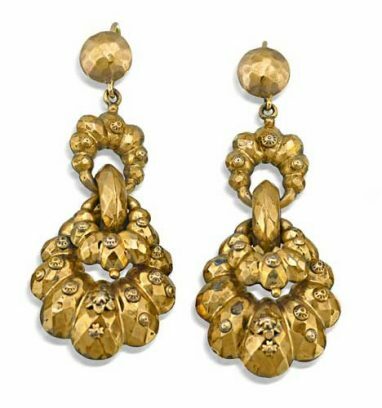 Victorian Gilt Earrings with new shepherd hooks influenced by Colonial India. They are hollow which is typical of the period. Earrings: Sapphire and diamond chandelier style.